There are many stories of Collingwood walking with his dog Bounce and his pockets full of acorns in the valleys and hills near to his home in Morpeth. So many in fact that it seems that the Admiral was responsible for planting every oak tree that stands in Northumberland today. While the “Collingwood Oaks” in College Valley near Wooler, have a clear historical connection, others throughout the County may have been “planted” in the minds of people by customers of the country inns for which Northumberland is renowned. What is certain, however, is the amazing result of the Trafalgar Woods project. 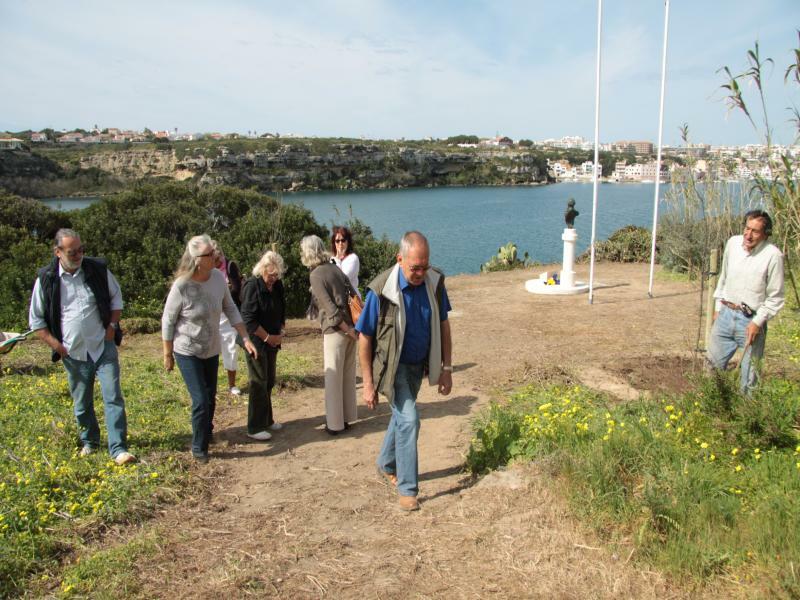 This was a co-operation between the Woodland Trust and the Society for Nautical Research and formed part of the 2005 “Trafalgar 200” commemoration. 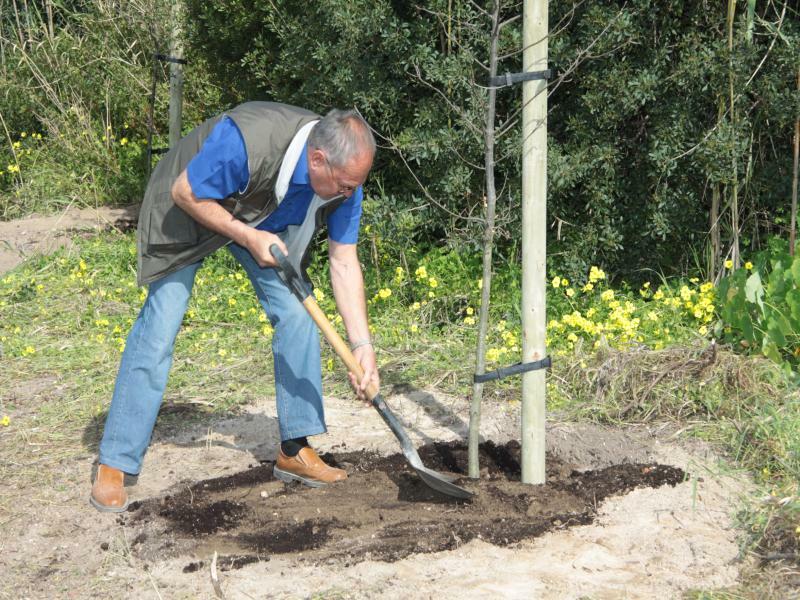 On 33 sites throughout England some 15,000 young sapling oak trees were planted by schoolchildren. Each of the new woods are named after the 27 ships of the line and for 6 of the support vessels. In total the new oak woods cover 858 acres. North east England now boast the Royal Sovereign wood at Throckley near Newcastle upon Tyne, the Ajax near Durham, the Entrepenante at Darlington and the Revenge wood near Scarborough. 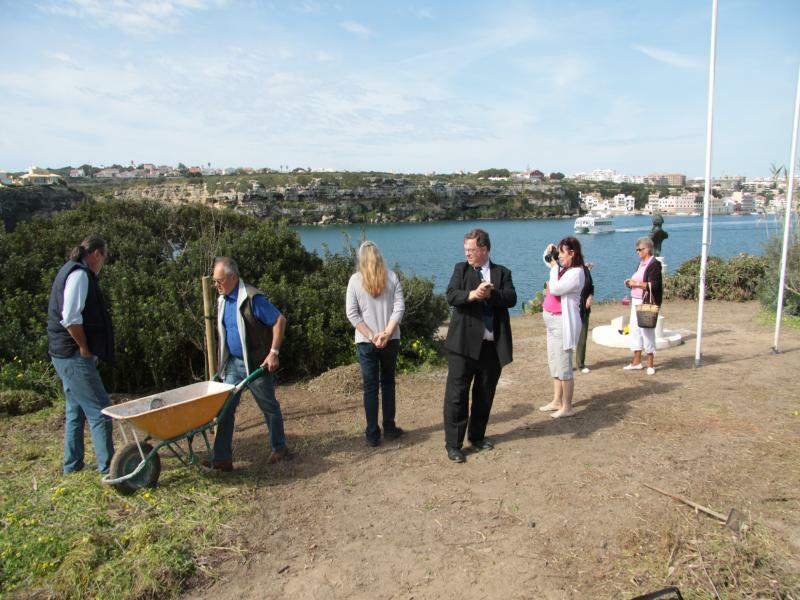 The project had a strong educational purpose aiming to inspire and inform as well as being of environmental value. 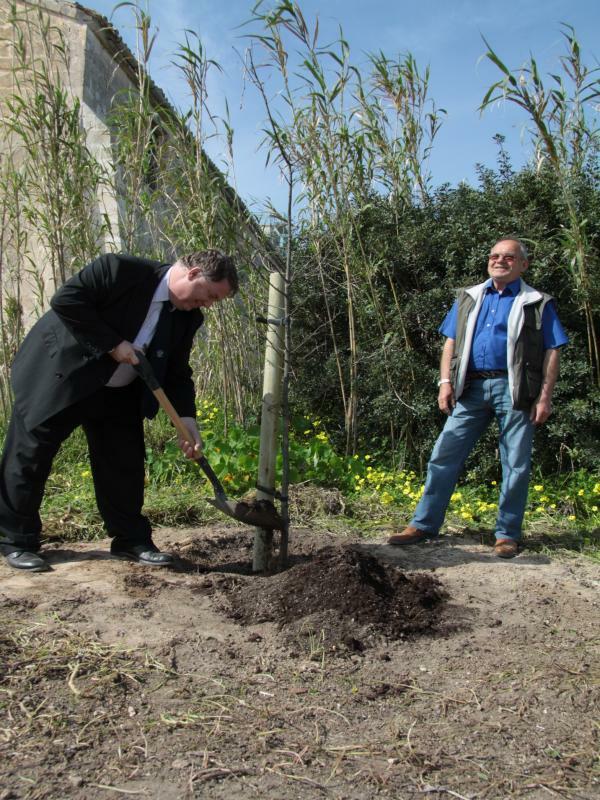 Five years on and these trees are becoming well established and serve as an inspiration for future generations and a physical reminder of a great man. Not quite as Collingwood originally intended as he planted his acorns over 200 years ago to supply future generations of good English Oak for the wooden hulls of the Royal Navy ships. 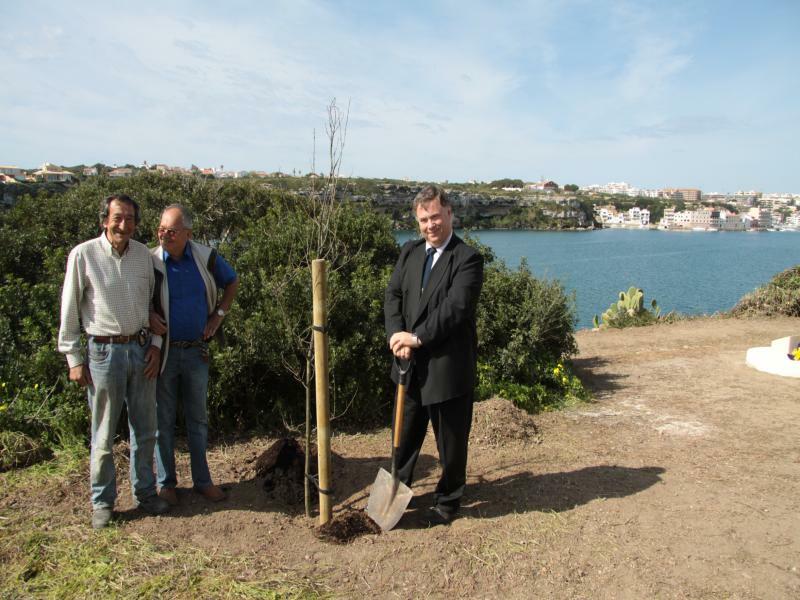 Later this week three Oak Trees will arrive (ferry schedules allowing) on Menorca. These are a gift from the three main authorities and sponsors of the Collingwood Commemoration in Newcastle. 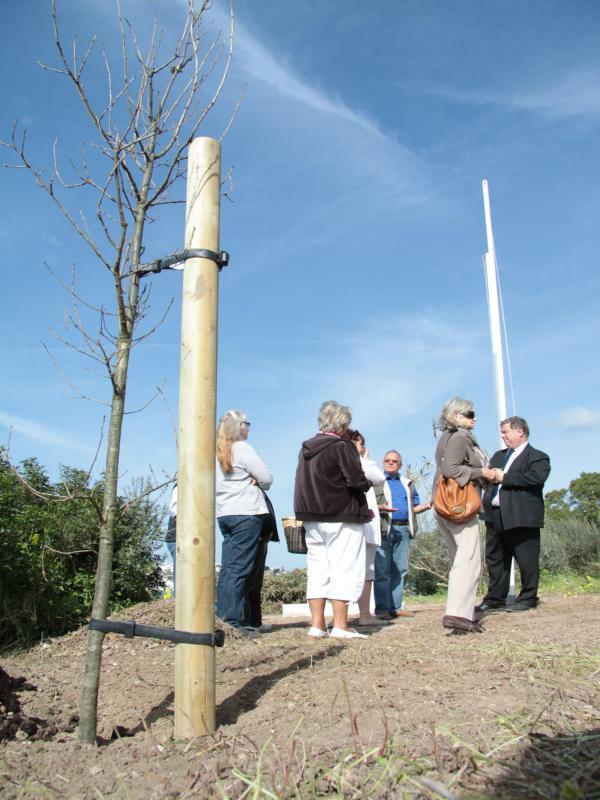 Namely, Newcastle City Council, North Tyneside District Council and the Greater Morpeth Development Trust have funded the purchase and transport of these trees that were offered to Bryce and Sheila at their attendance in Newcastle. 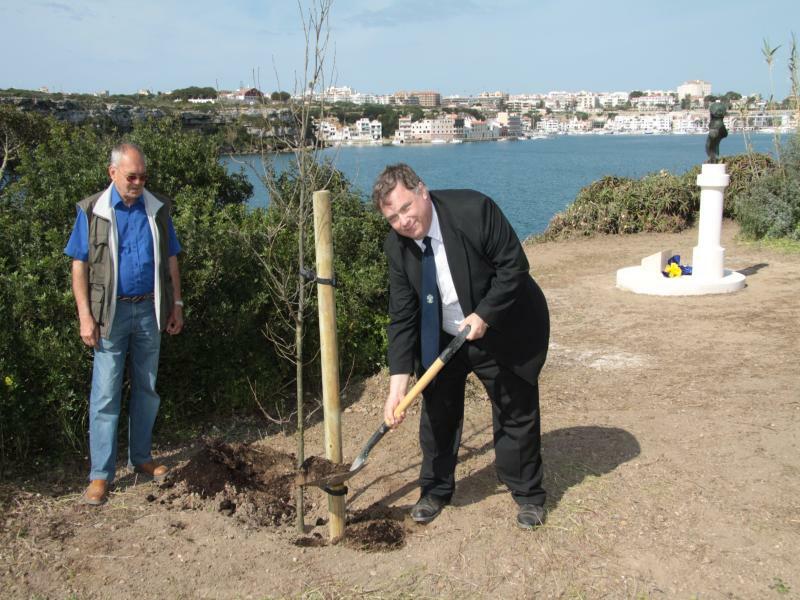 We, the Asociación Menorca Britannia are proud to take delivery of the trees and have offered them to Es Castell. 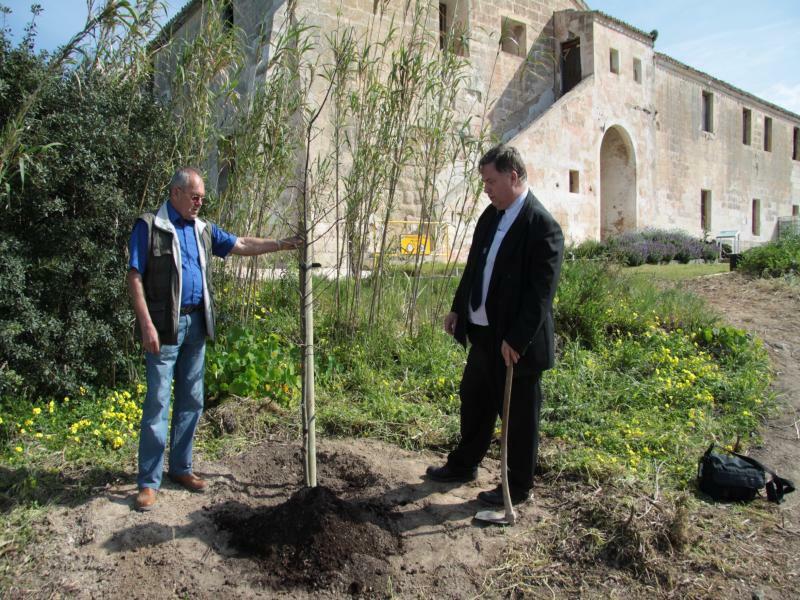 Between us we are choosing a suitable site for them and it is hoped that the trees will arrive in time so that an official planting ceremony can take place whilst the representatives of the 3 authorities gifting these are still here for the Collingwood 2010 Menorca celebrations.